As we welcome these crisp days of fall there are a lot of things happening at CELT and around the state. Last week, I participated in a Listening Session with a Task Force set up to Shape the Next Generation of Maine Land Conservation. The group is co-chaired by David Trahan, Executive Director of the Sportsman’s Alliance of Maine, and Tim Glidden, President of Maine Coast Heritage Trust. It plans to meet through the end of the year and prepare a final report in early 2019 which will propose funding, strategies, and policy options to the State. I am thankful that this group is working diligently to support land conservation in the state. For more information on the session last week please see this article in the Portland Press Herald. 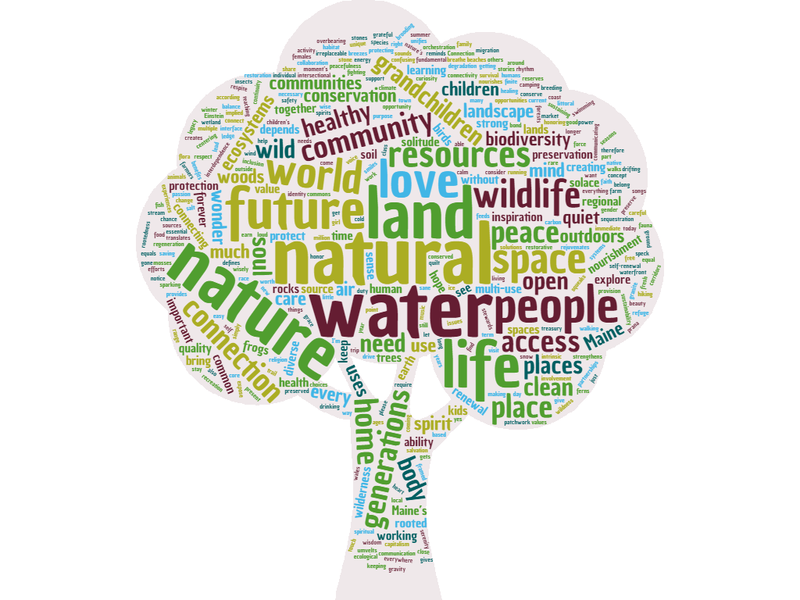 What are your priorities and vision for future land conservation efforts? Do existing public and private conservation lands meet your needs? Are they being well managed? Should incentives be considered to encourage landowners to engage in sustainable land management and provide public access? Are you supportive of providing additional public funding for land conservation in the future? Please take this online survey to add your voice to support land conservation in Maine. Thank you so much for your involvement and support of CELT!